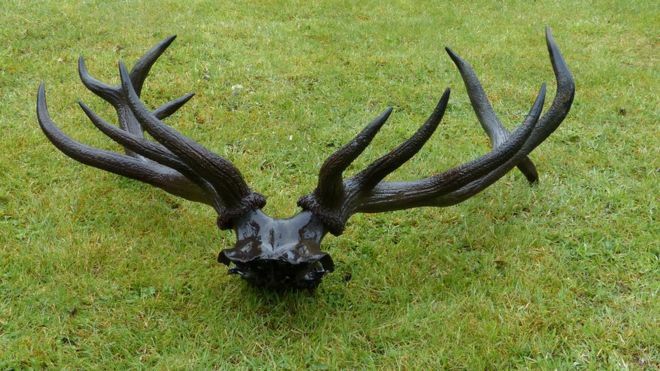 Weeks after first being spotted on a beach along the coast of Wales, researchers have recovered an impressive set of antlers that belonged to a red deer believed to have lived at least 4,000 years ago. Researchers from the University of Wales Trinity Saint David are examining the remains, which include part of the skull, discovered on a beach in Borth, seven miles north of Aberystwyth, in the Welsh county of Ceredigion. The remains were first sighted in early April but could not be recovered until recently because of the tides, according to the BBC. The find comes from a channel cut through an area which in the 1960s turned up bones of an auroch, large wild cattle that inhabited Europe, Asia and North Africa, and the ancestor of domestic cattle. “The individual was certainly in the prime of his life showing full development of the large antlers,” according to Dr. Ros Coard of the University of Wales Trinity Saint David. 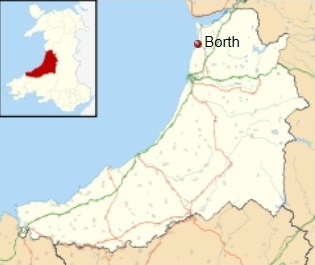 Map showing Borth, along the coast of Wales, where ancient antlers were found. When the skull and antlers were first seen, they were reported to the Royal Commission in Aberystwyth which alerted officials at the school’s archaeology, history and anthropology department. 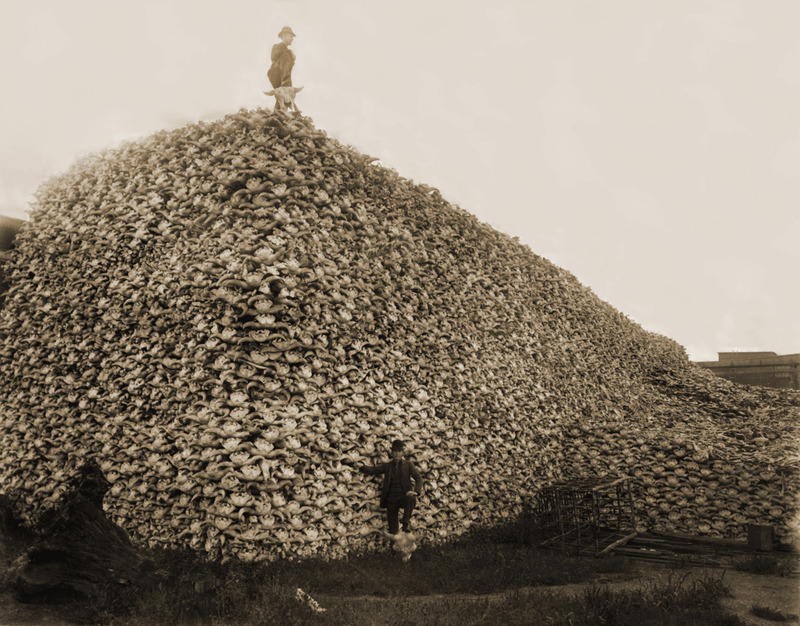 The individuals who originally located the antlers and partial skull photographed the area where it was spotted. The images were used by the team, who manually searched the water at low tide until the skull was found in approximately three feet of water, according to the BBC. The forest and peat deposits on either side of the channel date to between about 6,000 and 4,000 years ago – the time of the last hunter-gatherers and the earliest farmers in Britain. This blog remains largely immune from hate mail, probably because a) it’s readership is miniscule and b) the topics so arcane that few crackpots can work up the energy to put crayon to paper in order to fire off a misguided missive. Still, just as a blind pig finds an acorn once in a while, the occasional screwball will manage to direct a harebrained epistle my way. 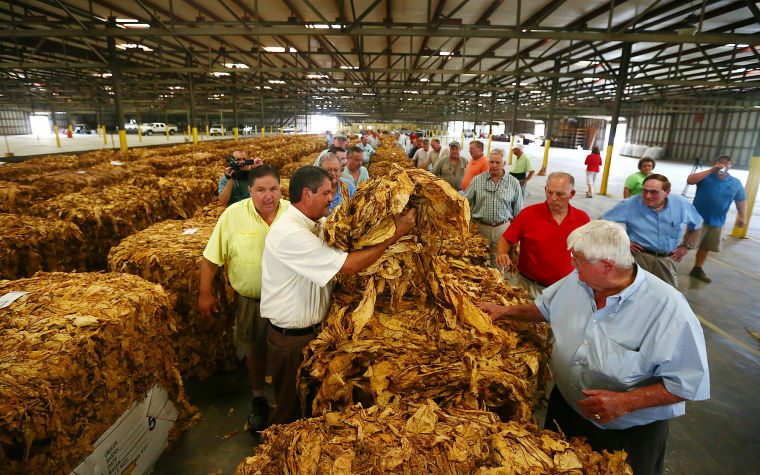 Consider: Last week a hack for the Teamsters Union decided to take me to task for a post I wrote in February 2009 about an area trucking company that had gained a well-deserved reputation for treating its employees particularly well. Mind you, this is a post that’s more than seven years old, but that didn’t stop the commenter, using the decidedly unoriginal nom de plume of “Greg Hoffa,” from wading into the fray, albeit very tardily and very ineptly. It’s difficult to say what set off old Greg Hoffa. The point of my story, penned oh so many moons ago, was that a family-owned trucking company, during what was then the heart of the Great Recession, had managed to avoid laying off any of its more than 6,500 employees, the only major US trucking line able to be able make that claim. My post contained no talk of pay, overtime and certainly no indication that I worked for the company. I don’t and never have. But then again, when it comes to reasoning skills, Teamster trolls are rarely mistaken for the second coming of Socrates. As to whom “Lyin’ Ted” is I have no idea. Cruz? Turner? Kennedy? Kaczynski? A good rule of thumb if you’re going to write angry letters is that they should make sense and be based, at least in some small degree, on reality. Also, lay off the exclamation points. Greg Hoffa, you dropped the ball on all three counts. I will give Mr. Hoffa one point and admit that he was pretty close to being accurate in one of his closing lines. Toward the end, where he wrote, “The Teamsters should represent this and every other shady trucking outfit,” he need only have shortened it to “The Teamsters should represent every shady trucking outfit,” and he would have been right on the money. Tens of thousands of Union and Confederate soldiers went AWOL or deserted during the War Between the States. Some found combat wasn’t as glamorous as they had imagined, others wearied of being away from family, while many simply tired of seemingly endless monotony punctuated by the short bursts of terror common to combat. Henry Martin Lary, a Confederate cavalryman from Texas, apparently did not waver in his conviction, despite the dangers and drudgery of war. Lary enlisted as a private in Company D of the 19th Texas Cavalry Regiment on June 24, 1862, in Dallas County, Texas. He had earlier served for six months in a different Texas unit, beginning in 1861. Lary saw action with the 19th Texas on April 26, 1863, at the Battle of Cape Girardeau (Mo. ), and on June 9, 1863, at the Battle of Lake Providence (La. ), during the Siege of Vicksburg, Miss. He was captured at Monticello, Ark., on Jan. 15, 1864, and was first transferred to Little Rock, Ark., then to St. Louis’s Gratiot Street Prison. Gratiot was the largest war prison in Missouri, although it was mostly used as a transfer station. 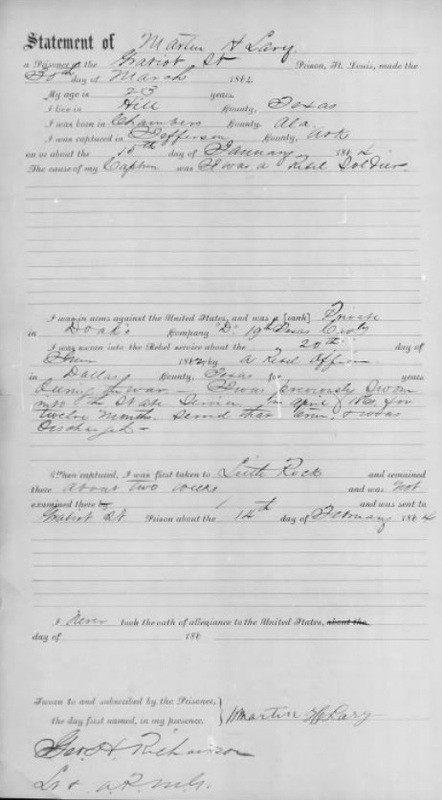 First page of Henry Martin Lary’s statement made at March 30, 1864, Gratiot Street Prison, St. Louis. Click to embiggen. 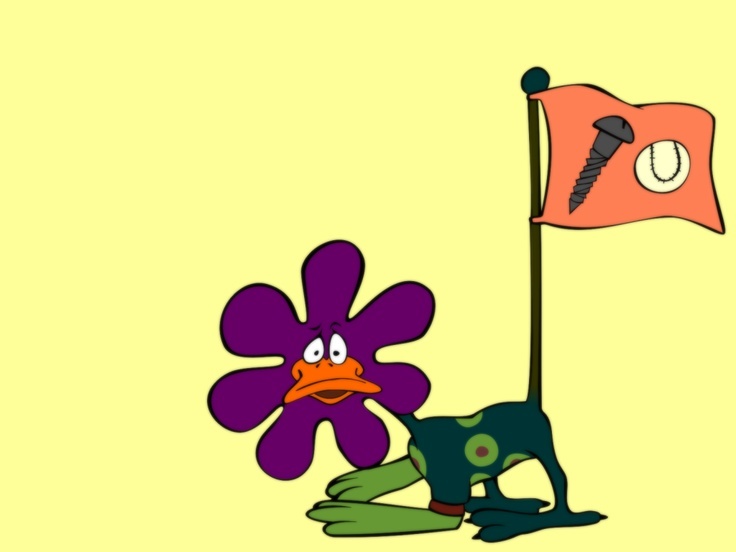 Lary apparently spent several months at Gratiot before being sent in August to the notorious Camp Douglas, in Chicago. He would spend the winter of 1864-65 at Camp Douglas before being sent south to be exchanged near the war’s end. On April 11, 1865, he was sent down the Mississippi River to Cairo, Ill. He arrived in New Orleans on April 22 and remained there until early May, when he was exchanged at the “mouth of the Red River, La.” on May 5. Late in the war, nearly all exchanges were made because soldiers were in failing health, so it’s likely that Lary was suffering from health complications, possibly related to the winter at Camp Douglas, which had one of the highest mortality rates of any Civil War prisoner of war camp, with as many as 6,000 prisoners dying there between 1862 and 1865. But before Lary was sent north Camp Douglas, Union officials at Gratiot interviewed him and transcribed his responses to a series of set questions. Although they misidentified him as “Martin H. Lary” – transposing his first and middle names (unlike the Confederates, who misidentified him as “Leary” rather than “Lary”) – it’s apparent that even after nearly three years of service, Lary’s dedication to the Southern cause hadn’t wavered. To the question, “Do you sincerely desire to have the Southern people put down in this war, and the authority of the U.S. Government over them restored?” Lary was likewise succinct: “I do not,” he replied. While it’s impossible 150 years later to know if Lary’s convictions remained as strong throughout the winter he spent at Camp Douglas, he did manage to survive and make his way back to home to Hill County, Texas. Lary married, and lived until 1910, dying at the age of 67. His wife lived until 1933 and received a pension for her husband’s Confederate service. They are buried side by side in Hillsboro, Texas. This past weekend a small Roman Catholic parish in Chapin, SC, unveiled its new church, a Modern Gothic Revival-style structure 10 years in the making. Our Lady of the Lake Church features an impressive bell, a beautiful ambo and a striking altar. 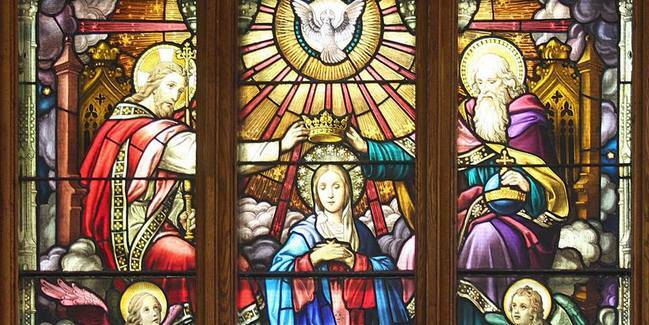 But perhaps what sets it apart from most new churches is its stained glass windows. They were made at Buffalo Glass Works in New York by well-known stained glass artist Leo P. Frohe, who created them in the spirit of the Munich School style of glass, common in the late 19th and early 20th centuries. The set of windows was once called “the poor man’s Bible” by Frohe and his contemporaries because they offered a physical way for worshippers to experience the transcendence of God. 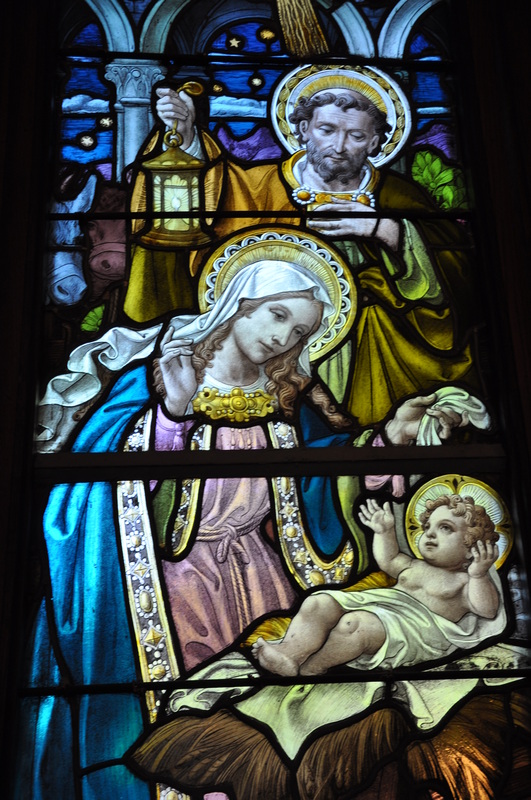 Detail of stained glass window depicting Mary and infant Jesus. Five of the windows depict the joyful mysteries of the rosary, and the other three show images of the Sacred Heart appearing to St. Gertrude, Jesus’ agony in the Garden of Gethsemane and Mary’s coronation in heaven. 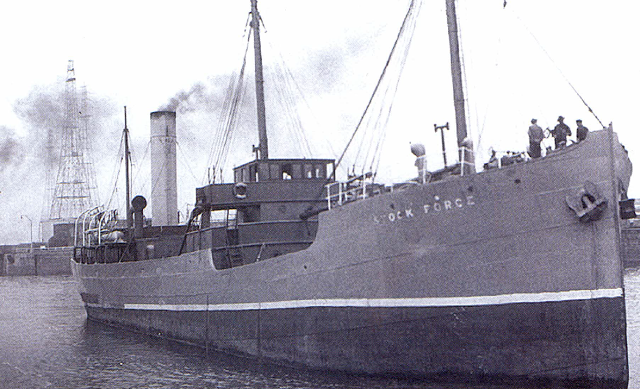 Frohe (1851-1919) was born in The Netherlands. He came to Buffalo in 1862 with his mother and sisters, joining his father, a classically trained artist who had arrived in the US a year earlier. For many years Frohe was the manager of the Buffalo Stained Glass Works. Frohe’s work for the company won a silver medal at the Paris Exhibition in 1889. In 1895 he established his own workshop, called Frohe Art Glass, in Buffalo. The Blue Chapel was built between 1912 and 1914, and housed the Order of the Perpetual Rosary which was started by Dominicans nuns who emigrated from France. The monastery closed in 2008 when its last two nuns retired and moved to a hospice in New Jersey. Father Andrew Vollkommer, the longtime pastor at Our Lady of the Lake, arranged that the eight windows be transferred to South Carolina in exchange for paying for the reburial of nuns who were interred on the property of the New Jersey monastery. The windows were then restored at a Charlotte studio that specializes in stained glass. Stained glass from the Munich School, created during the late 19th and early 20th century, possessed unique characteristics. It is said to mirror “the European Romantic-era style of artistic, musical, and religious philosophy that took the lofty, hyper rational ideals of the preceding period and brought them, in a sense, back to earth,” according to the Hudson (NY) Reporter. Unfortunately, the man so instrumental in bringing the windows to the new church, along with everything else associated with the elegant structure, wasn’t on hand to witness the dedication. Father Vollkommer died in his sleep in late January at age 60, after overseeing nearly every aspect of the structure nearly through to completion. In more than 20 years of shepherding the parish, Father Vollkommer helped it grow from 60 families to 800, so there was more than a tinge of sadness that he wasn’t on hand this past weekend to see the fruits of his labor. However, it’s not often that any of us are able to leave a legacy that will last generations. Buried a short distance away, Father Vollkommer will remain figuratively and literally in the shadow of the new church for decades to come. While its authenticity has yet to be fully determined, a painting discovered in a French attic is being attributed by some to the Italian master Caravaggio. At least one expert said the 400-plus-year-old work, called “Judith Beheading Holofernes,” could be worth as much as $135 million. However, experts aren’t in agreement as yet regarding the work’s authenticity, with some attributing the painting to Louis Finson, a Flemish painter and art dealer. Finson possessed a number of works from the Italian master and made copies of his pictures, according to the Associated Press. The painting was discovered two years ago in Toulouse, in southern France, when the owners of the house went into the attic to repair a leak. The picture was kept out of the public eye while it was cleaned and submitted to a deep examination that included infra-red reflectography and X-rays, the wire service added. 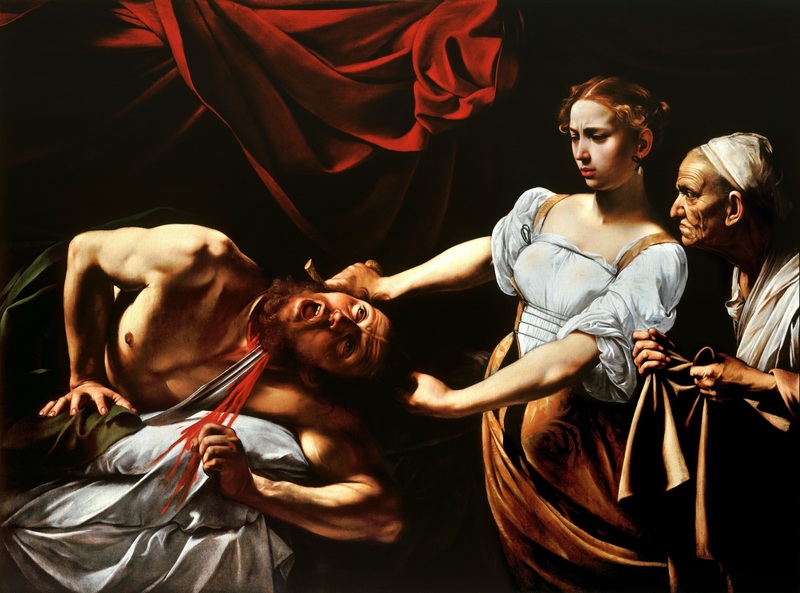 Judith Beheading Holofernes, said to be by Caravaggio, on display in Paris. Eric Turquin, the French expert who retrieved the painting two years ago, said it is in an exceptional state of conservation. The work depicts the biblical heroine Judith beheading an Assyrian general and is thought to have been painted in Rome around 1600. The work is believed to have gone missing about 100 years after it was painted. Another version of it, which was also thought to be lost before its rediscovery in 1950, hangs in Rome’s National Gallery of Ancient Art, according to the BBC. Michelangelo Merisi da Caravaggio (1571-1610) was among the most innovative of the Renaissance painters, and his works are often spectacular for their realism and dramatic lighting. Only about 80 of Caravaggio’s paintings survive. Turquin told a news conference Tuesday that there “will never be a consensus” about the artist. The picture has been awarded “National Treasure” status by French authorities, meaning that it can’t be exported for 30 months, leaving the national museums enough time for its acquisition. Bruno Arciprete, the Naples-based expert who restored Caravaggio’s “Flagellation of the Christ” and “Seven Works of Mercy,” said the painting could well be a Caravaggio but that further studies are needed. 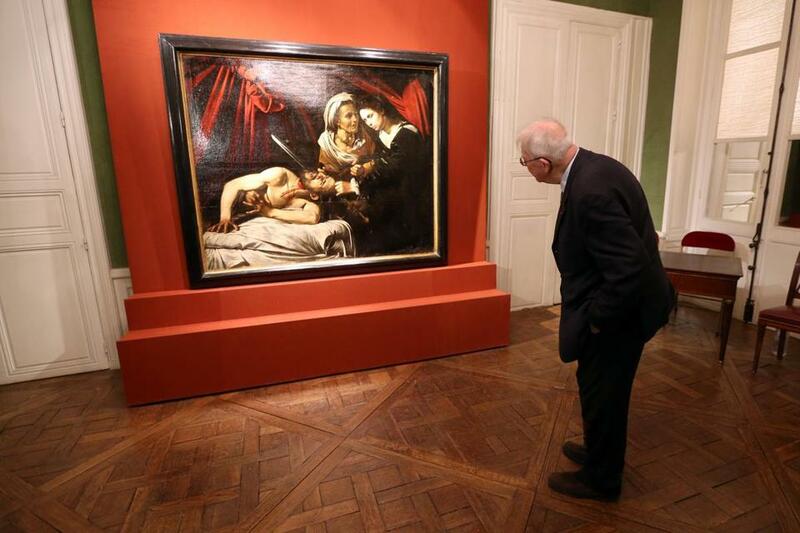 “It has interesting characteristics that can be attributed to Caravaggio,” he told the Associated Press. “What is required is more scientific research, and then studies by art historians,” to specifically look at the technique, pigments, the type of canvas and its preparation to see if they correspond to those used by Caravaggio, he said. On the other hand, Richard E. Spear, a scholar of Italian Baroque art who is an expert on Caravaggio, said he was “highly dubious” that the Italian master actually painted the art work. Spear, who has only seen photos of the painting, told the AP that he wasn’t convinced by the handling of the brushwork and that some anatomical details of the characters raised questions. 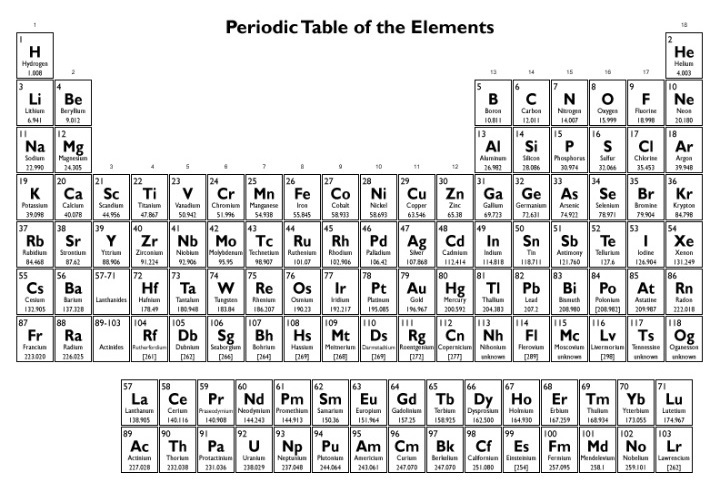 “Altogether, the picture looks rather coarse and heavy to me,” he said. This blogger makes no secret of his love of the outdoors. Whether its woods or wilderness; swamps or savannas; fields or fens; meadows or marshes; pastures or plains, I’ll take being outside most any day to being enclosed in the glass and steel of the city. Yes, there are plenty of interesting things to do in a metropolis, but if I have to pick one over the other, my first choice is always going to be the countryside. As such, I’ve never understood those that willing live in crowded cities where greenery is almost non-existent and it’s a lengthy drive to romp in legitimate open space. Apparently in the San Francisco Bay Area, green space is at such a premium that a new sharing app has been launched to allow you rent out your backyard or rooftop by the hour. Nookzy allows the reservation of small “creative urban spaces,” according to its website. In fact, it is currently beta testing a selection of backyard-based spas and saunas in San Francisco and Oakland, and is in the process of finding swimming pools and other amenities to list. 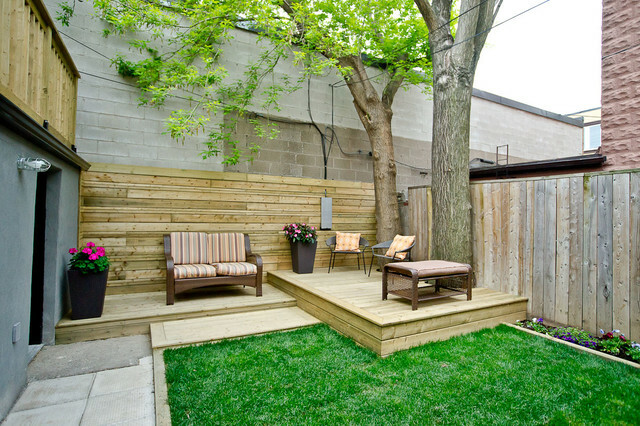 It has been called the “Airbnb of backyards,” referring to the website that enables people to list, find and rent lodgings for short periods. Nookzy users can reserve spaces for as little as 30 minutes and as long as hosts are comfortable with. Upon booking, guests will receive access permission and instructions, agreeing to host-specified conditions for conduct. During their reservation, guests will receive text message notifications, including when they have 15 minutes remaining in their reservation. Guests may extend their reservation if the space is still available. I never cease to be amazed by the ingenuity of some. Those behind this app apparently identified a need and have created a means to fill it. Good for them. On the other hand, I can’t help but feel for kids who live in an environment with so little green space that their parents have to go online to rent a backyard or pool. Seems like a rather Dickensian childhood in some respects. Signs spring is returning to the South: dead armadillos on the side of the road, a thick coat of pollen on the car a day after it’s been washed and the arrival of mosquitoes so big that if you slap them they return the favor. Actually, a simpler way to know spring is here is sighting wisteria in bloom, its blue-purple flowers a vivid contrast to the green of pine trees or newly flowered plants. American wisteria tends to first bloom in March and by early April can be seen throughout the South. 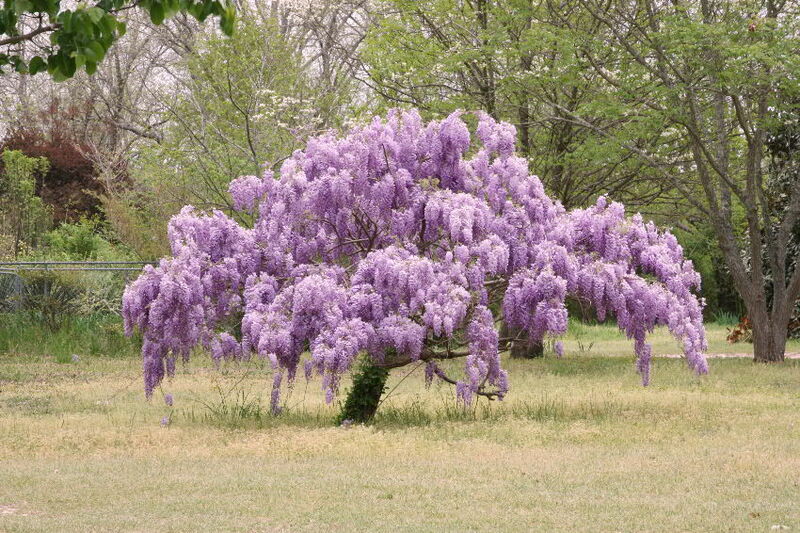 American wisteria can grow up to 50 feet long, producing dense clusters of flowers on stalks 2 to 6 inches long. It is very fragrant plant, putting off a rich lavender-like scent that can be detected hundreds of feet away if you’re downwind from a substantial stand. 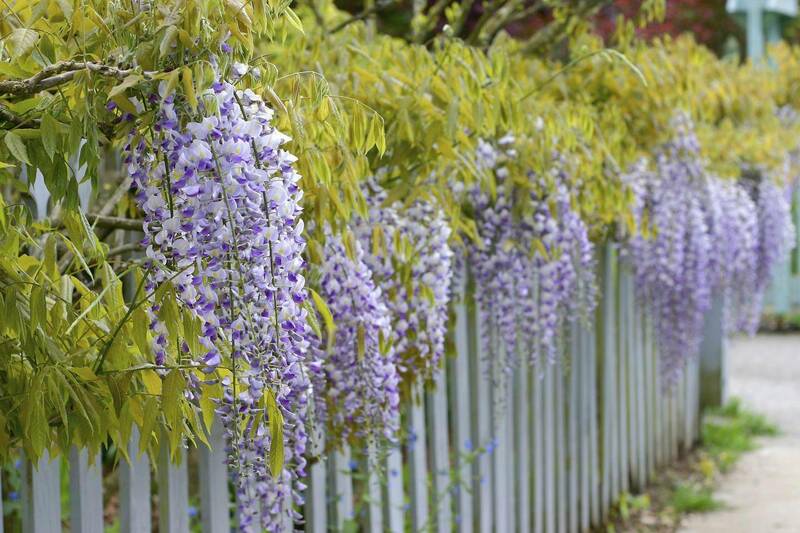 Apparently, Chinese and Japanese wisteria are noted for being fast-growing, hardy and being able to “escape cultivation.” American wisteria is easier to control. Wisteria, not unlike vines, is at its best when it has a tree, wall or other supporting structure to assist with upward movement. In the South, wisteria is often seen in stands of trees, around abandoned structures or growing along old fences. The flowering season for American wisteria is relatively short; by the end of May, at least in South Carolina, the bluish-purple flowers will be gone and all that will remain will be long snaking stems, green leaves and pods that hold the seeds of future wisteria beauty.